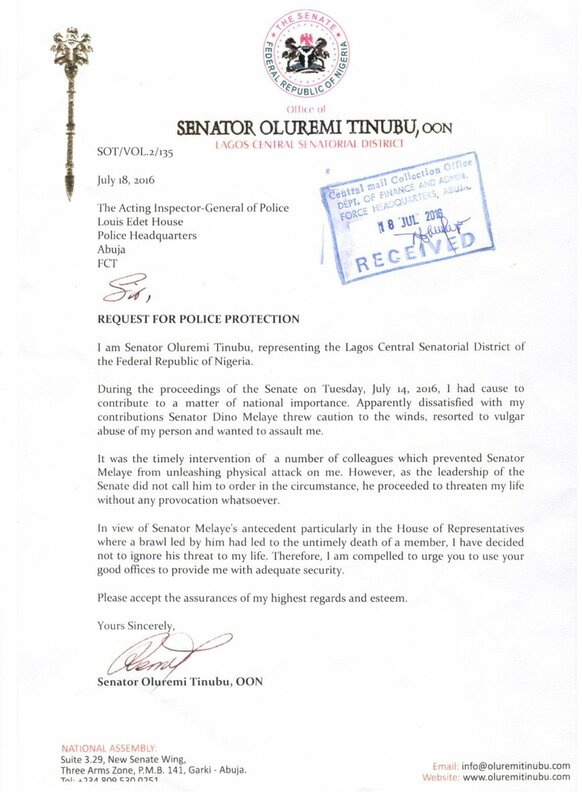 Senator Oluremi Tinubu has written to the Acting Inspector General Of Police, Ibrahim Idris, requesting protection from fellow Senator Dino Melaye. 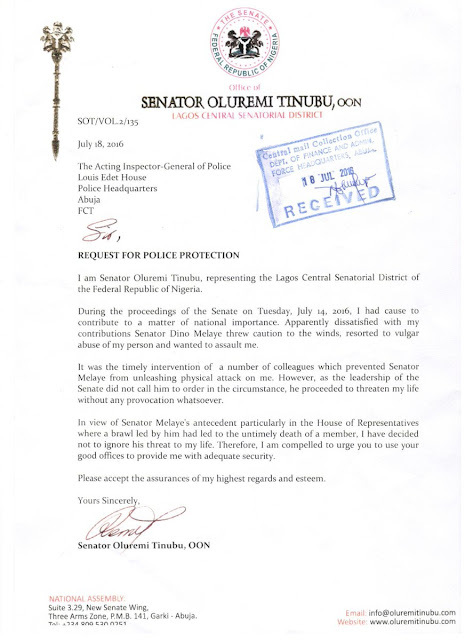 Various Senators who were present during the altercation confided in the press that Mr. Melaye said he would beat up and impregnate Senator Tinubu, wife of the National Leader of their common All Progressives Congress (APC) party, Asiwaju Bola Tinubu, and that he would incur no repercussions. Melaye subsequently denied the reports, but not the altercation, without stating exactly what he had said to Senator Tinubu during his outburst. 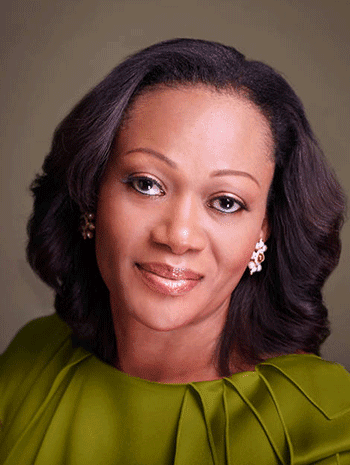 Recalling Senator Melaye's antecedents in the federal legislature, “particularly in the House of Representatives where a brawl led by him had led to the untimely death of a member,” Senator Tinubu said in the letter she decided not to ignore his threat to her life.